I believe that cooking is an art form. When I went veggie shopping at Berkeley Bowl West, I came across a bag of Key Limes from Colima, Mexico for $1.89. I have a friend, ( Hi Diane!) who lives in Colima so I had to buy them. 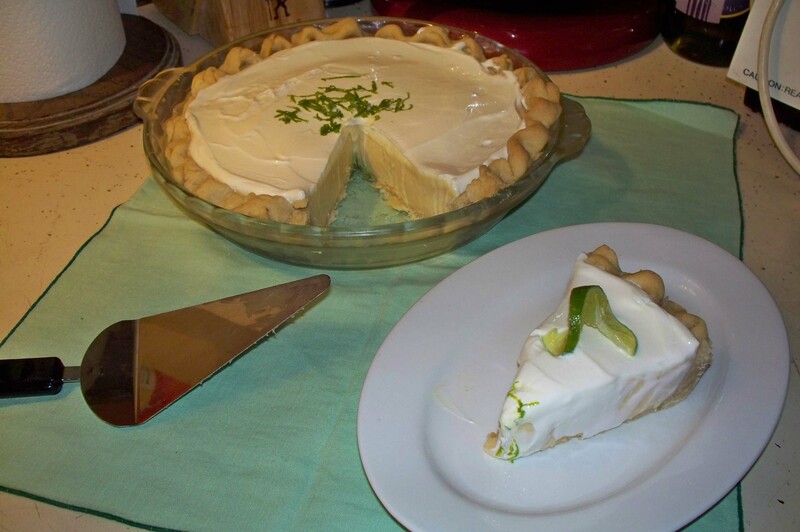 Now, I’ve never made a Key Lime Pie before. I used a recipe by Emeril Lagasse on the Food Network site. I don’t care for Graham cracker crust so substituted regular. 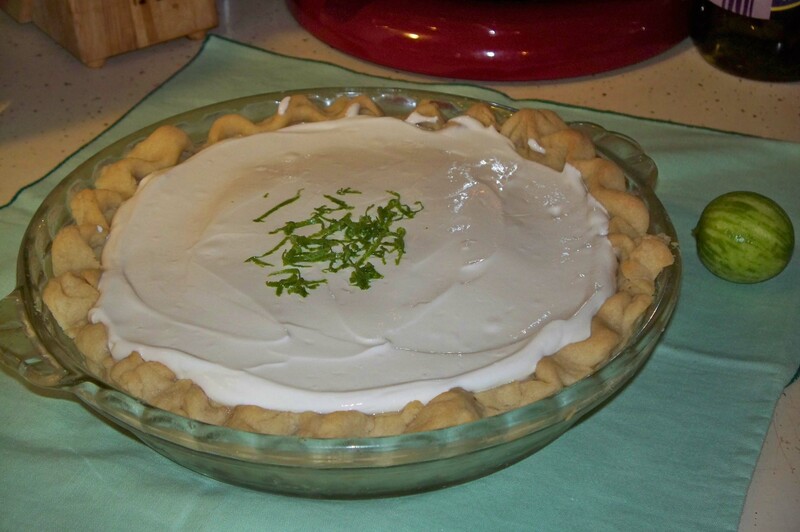 My crust slumped, so it is now “rustic.” It took quite awhile to get the juice out of those tiny limes! Baking is an art, and playing photo shoot was my “Make Art” for today. Oh, the pie was absolutely delicious! ( I also made a Barley and Mushroom ‘Risotto,’ Pasta with Garlic and Kale, and something I call Mexican Lasagna made with chili, flour tortillas, cheese and sour cream – a big hit.) Whew! This entry was posted on September 19, 2011 at 1:26 am and is filed under Food with tags Colima, Colima Mexico, Emeril Lagasse, food, Key Lime Pie, key limes, Mexican Lasagna. You can follow any responses to this entry through the RSS 2.0 feed. You can leave a response, or trackback from your own site. Nice pie! My mom loves that. I take it you don’t have an “exprimador”? Makes juicing real simple. Thanks, Diane. I juiced all those tiny limes with a manual juicer over a measuring cup. My arms got a workout. No “exprimador,” unfortunately.